The threat of costly environmental damage to Lake Baikal by power plants of the EN+ group, owned by Oleg Deripaska (lead images), has been raised this week by Russian and Chinese activists with the Financial Conduct Authority (FCA). The UK regulator is considering whether to allow an initial public offering (IPO) of EN+ shares to proceed on the London Stock Exchange next month. At its meeting in Cracow, Poland, in July, the WHC warned the Russian government that EN+’s operation of reservoirs and hydroelectric cascades is threatening the lake, the survival of its flora and fauna, and the communities living around the lakeshore, including the city of Irkutsk, which depends on the lake for drinking water. 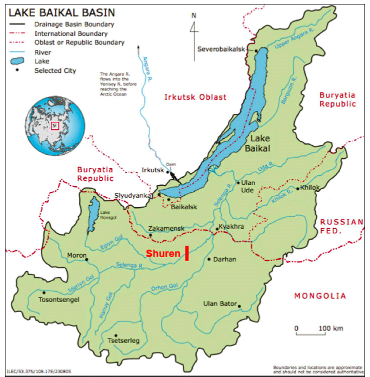 The WHC issued a new decision, repeating earlier ones, urging the Russian Government to conduct a full environmental assessment of EN+’s impact on the lake. The risk of runaway legal liabilities for EN+’s power division comes after Rusal, the Russian aluminium monopoly and the most valuable of EN+’s assets, suffered a wave of insider share sales early this month; these have caused a sharp decline in Rusal’s share price on the Hong Kong Stock Exchange. A statement issued in London yesterday reveals this has now led to a collapse of the target share pricing for EN+. According to EN+’s announcement to the LSE, “the indicative price range for the Offering has been set at between USD 14 and USD 17 per GDR. This implies a pre-money equity value of between USD 7.0 billion and USD 8.5 billion.” These figures slash the valuations issued by the Russian state banks which have been behind Deripaska’s London attempt, at least until now. Sberbank had announced it has been valuing EN+ at $10 billion; VTB claims the value may be $16 billion. The new pricing cuts these targets in half. Rivers Without Boundaries (RWB) is a coalition of non-governmental organizations, most of them from Russia. This was its membership in 2012: US participation has dwindled as the US war against Russia intensified since 2014. Evgeny Simonov is the international coordinator of RWB; he is based in Beijing. 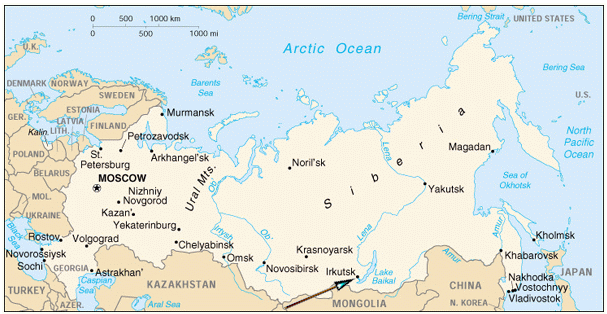 Left: Evgeny Simonov; right, Lake Baikal on the regional map. On October 16, RWB sent a report on the impact which EN+ operations are having on Lake Baikal to the LSE and the FCA. 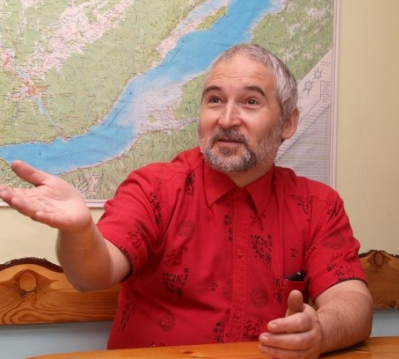 “Our campaign related to EN+ s London listing — if it happens — could be called Taming the Monster of Lake Baikal,” Simonov said yesterday. Read the 5-page RWB report here. For more than a decade, the World Heritage Committee (WHC) has been the focus of Russian citizen campaigns to protect the lake against oil pipelines, illegal logging, lead and zinc mining, and pollution from the Baikal Paper and Pulp mill, also owned by Deripaska; for details, click to open the WHC dossier. A full set of WHC reports and decisions on Lake Baikal can be read here. The domestic campaigning successfully persuaded Putin to order the re-routing of Rosneft’s new trans-Siberian oil pipeline more than 250 kilometres north of the lake; that was in 2006. For several years thereafter, the focus at the lake has been on stopping Deripaska’s papermill, and the lead mine operated by Lundin, a Canadian-Swedish concern; for that story, read this. Construction of tourism facilities has also become a fresh and growing concern. The priority of the WHC and Russian environmental groups for the past two years has been to challenge Deripaska’s lobbying of the regional and federal government authorities to relax the legal requirements, and avoid a formal environmental assessment for EN+’s impact on the lake. Experts estimate that the Angara River system of reservoirs and cascades running north and west of Lake Baikal to Ust-Ilimsk and the new Boguchanskaya hydroelectric complex, accounts for about 55% of EN+’s total power production. Curtail Deripaska’s freedom to increase the flow of Baikal water for his purposes, and EN+’s costs will rise; its profitability will fall. According to Simonov, “environmental flow norms, used in hydropower management around the world, are not a part of the current management rules for any of En+ Group hydropower plants. In addition, a new Draft Management Rules for the Irkutsk Reservoir and Angara Hydropower Cascade have been repeatedly rejected at public hearings in 2010-2016 due to a lack of environmental and social safeguards and inconsistency with the Law on Lake Baikal.” Simply put, when the water level rises at Baikal Deripaska grows richer, the lake grows poorer. In 2015 the WHC decided to ask the Russian government to return in 2016 with “a report on the state of conservation of the property [Baikal] specific information on the existing provisions and regulations for water use and management in Lake Baikal and their subsequent effects on the hydropower plant management downstream the property, for examination by the World Heritage Committee at its next session.” For “hydropower plant management” read Deripaska. The WHC also announced it “regrets that the [Russian government] did not provide any information on the existing provisions and regulations for water use and management in Lake Baikal, as was requested in its [year before] Decision 39 COM 7B.22”. WHC warned, discreetly, that it requested no Russian government action benefitting EN+ “until these assessments have been reviewed by IUCN.” The IUCN is a multi-state conservation organ, based in Switzerland; Russia is a member though the federal Ministry of Natural Resources. The FCA’s chief executive Andrew Bailey has acknowledged receiving the RWB report. His spokesman, Ruth Wharram, said she is unable to say whether her agency has approved the application to list from EN+, adding the agency “doesn’t comment on individual company applications.” She declined to answer if the Baikal risks have been reported to the market in the share sale prospectus. EN+ refuses to release its prospectus. Part has leaked to Bloomberg, however. The news agency reports the prospectus as disclosing “a significant change in [EN+’s] ownership. Earlier this month, the company transferred a 6.9 percent stake to Polina Deripaska, according to the prospectus. Polina married Oleg in 2001.” Moscow brokerage analysts quoted in the financial press in promotion of the IPO concede they have not seen a copy of the prospectus. Left: Elena Vishnyakova; right, Alastair Hetherington. They have refused to reply.